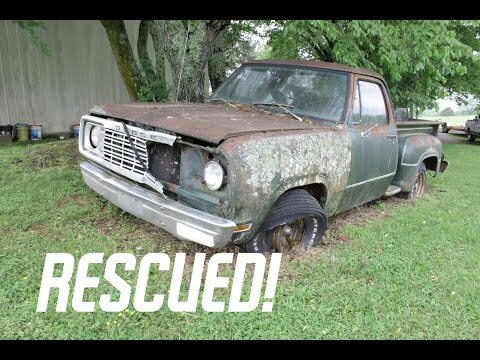 This 1977 Dodge Warlock was rescued from the spot that it had sat in for 27 years. The date on the tag shows 1988. We take this truck home and give it a fresh start on a new life. This truck came from the factory with a 440, power steering, power disc brakes, A/C, and bucket seats. It's a very rare truck, so it deserves a new life. Be sure to subscribe for updates on this project!